One of the world's most renowned management consultants and author of three Wall Street Journal bestsellers, including Execution, which he coauthored with former Honeywell CEO Larry Bossidy in 2002, which spent more than 150 weeks on the New York Times bestseller list. 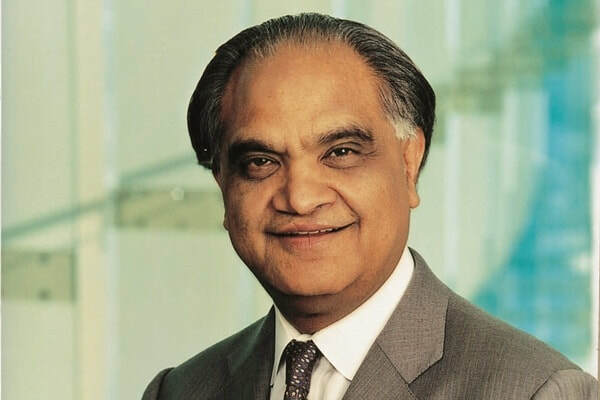 Ram Charan is a world-renowned business advisor, author and speaker who has spent the past 40 years working with many top companies, CEOs, and boards of our time. Ram is known for cutting through the complexity of running a business in today’s fast changing environment to uncover the core business problem. His real-world solutions, shared with millions through his books and articles in top business publications, have been praised for being practical, relevant and highly actionable. ​Ram has coached more than a dozen leaders who went on to become CEOs. He reaches many more up-and-coming business leaders through in-house executive education programs. His energetic, interactive teaching style has won him several awards, including the Bell Ringer award at GE’s famous Crotonville Institute and best teacher award at Northwestern. He was among BusinessWeek‘s top ten resources for in-house executive development programs. Ram has authored over 25 books since 1998 that have sold over 2 million copies in more than a dozen languages. Three of his books were Wall Street Journal bestsellers, including Execution, which he coauthored with former Honeywell CEO Larry Bossidy in 2002, which spent more than 150 weeks on the New York Times bestseller list. He also has written for publications including Harvard Business Review, Fortune, BusinessWeek, Time, Chief Executive and USA TODAY. Fortune Magazine calls Ram Charan “the most influential consultant alive,” thanks to a reputation earned through more than thirty years of wise counsel to the top companies, CEOs, and boards of our time. Drawing on this experience, Ram has become one of the most popular business speakers in the world, speaking to distinguished audiences in a variety of venues. He is praised for being practical, entertaining, relevant and highly actionable—the kind of advice you can use Monday morning.